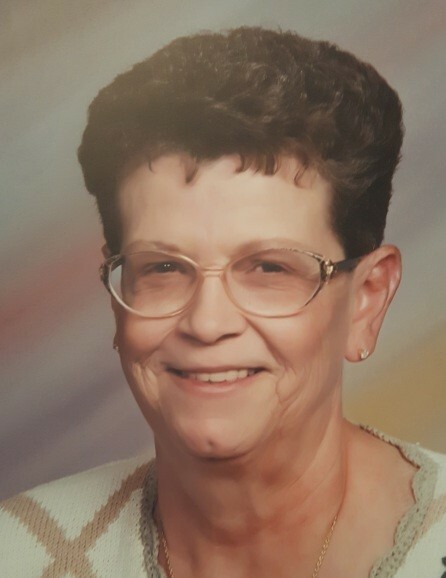 Muncie: Brenda Rench, 76, passed away peacefully Sunday, October 28, 2018 surrounded by her family and friends. Brenda was born July 3, 1942 to the late Bessie and Homer Roberts in Worley, Kentucky moving to Muncie at an early age. She graduated from Muncie Central High School in 1960 and worked several jobs in the area before becoming employed at Ball Memorial Hospital as a medical receptionist, retiring after more than twenty years. Surviving Brenda are her son; Todd (Jennifer) Rench, daughter; Debbie (Bill) Dorman, grandchildren; Angie Dorman, Josh (Sarah) Rench, Seth Rench, and Mick (Jeselyn) Hart, great-grandchild; Oakley Rench and sisters; Judy (Sam) Mansker and Dorothy (Jeff) Flowers. Many nieces and nephews will miss her along with her furry four legged companions Tad and Little-Bit. Brenda was preceded in death by her parents; Bessie and Homer Roberts, infant son Robert S. Rench and four sisters; Wanda Strunk, Wilma Gates, Betty Robinson and Connie Nunemaker. Funeral services will be held at Parson Mortuary, 801 West Adams Street on Sunday November 18, 2018 at 2:00p.m with Pastor James Lawson officiating. Friends may call from 12:00p.m. until the time of the service. Burial will take place at Gardens of Memory Cemetery on Monday November 19, 2018. Memorials can be directed to the Animal Rescue Fund (ARF) 1209 West Riggin Road Muncie 47303.